There always seems to be something going on in Tofino. Whether it’s a surf competition, an art festival, a cultural event or something revolving around food, visitors and locals alike will be flocking to the scene. Read on to discover some of the best festivals in town! What: This one is a four-day cinematic event meant to celebrate and showcase the work of amateur/independent filmmakers from around the globe. Expect the events to be filled with thought and conversation provoking films, as well as a dash of wine and cheese. What: A few weeks worth of incredible and fun events geared to educate and celebrate the return of over 20,000 gray whales during their migration. What: This festival of events is dedicated to the Boat-to-Table, sustainable culture that runs through the veins of Tofino. You’ll be able to meet local fishermen and foragers, get a taste of sustainability at participating restaurants, and learn about the area, the movement and the food. What: Since 2007, Rip Curl has been bringing their Pro surf competition to the shores of Cox Bay in Tofino. Come by to watch the different divisions compete, join in on the land-based events and celebrate the winter warrior and cold-water surfers of Tofino. What: The Tofino Food and Wine Festival is a celebration dedicated purely to local culinary talent and the best wines (and other beverages) of British Columbia. Join in for any of the popular events and get a taste of the coast. What: A 3-day music festival with an intimate stage setting, beer garden, camping and an eclectic mix of well-known and newly discovered talent. It’s both affordable and fun, with shuttles going between Tofino and Ucluelet for smaller venue events. What: A community fundraiser put on by the Raincoast Education Society that involves incredible, handmade lanterns and evenings of beauty, fun, food, dance performances, live music and more. What: A delightful and artistic spread following a cultural theme, the Cultural Heritage Festival is an art event that spans Ucluelet and Tofino. Attend presentations and book readings; take in theatre and art displays, or any of the other events that take place in this unique festival. What: A showcasing and celebration of traditional and contemporary West Coast wood carving – see talented artists at work and attend any number of the events, forums, feasts and family events over the course of a weekend. 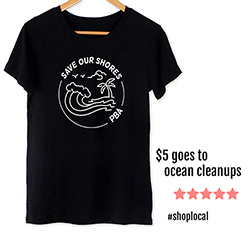 What: Two of Tofino’s companies, Surf Sister and Shelter Restaurant, partnered up to bring Tofino an All-Women’s Surf Competition to celebrate the amazing female talent that resides on the coast. For three days, you can join in on the fun and support the women in three divisions: Long Board, Short Board and Princess of the Peak. What: Shellfish lovers will rejoice in this event – a celebration of shellfish season on the coast. Events include a costume party in the form of a Mermaid Ball, an Oyster Gala and plenty of other ways to learn about, and celebrate, the nearly 50,000 gallons of oysters that are harvested from the area each year. What: Designed to uplift the dreariness of the long West Coast winter, Tofino Winterlights is a stunning display of enchanting art in the form of lights. Take a wander through the gardens to catch a glimmer of hope and optimism from the dazzling display. 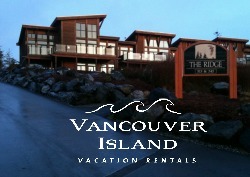 To find a place to stay over your favourite festivals, visit www.vancouverislandvr.com, or our accommodation page! For more fun places with festivals, check out www.discovervancouverisland.com.